PNNL is nationally recognized for its experience and expertise in analyzing complex socioeconomic and environmental issues on a regional, national, and global scale. 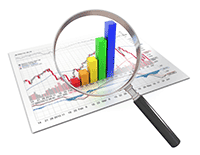 We conduct macro- and micro-economic analysis, forecasting and product market penetration analysis. Impact analysis of policies and technology insertion help policy makers examine possible future interactions of important economic variables under various policy scenarios. We are equipped and experienced at using the latest computer modeling tools that include computable general equilibrium models, input-output models and mixed econometric models. For further information on Economic Analysis, contact Patrick Balducci, Pacific Northwest National Laboratory (PNNL), at (503) 417-7540.